Celebrating today with Ruth Ayres and others who share. This week filled up fast, and I was busy with gardening, the bookstore, writing, servicing the car, LIFE! I am wishing for a "do nothing" day as Sam described, probably where I'll read all day! Some of my "do nothing" days also mean work in the garden, a pleasure in the time spent in all that beauty. This week, the swallowtails arrived and I happened to be out to see them. This was the girls' final week of school so I had both of them on Tuesday. 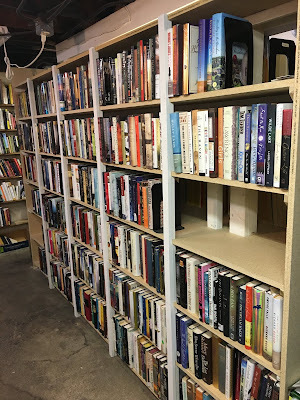 First, we visited our favorite Indie, The Tattered Cover, to choose books to give their teachers and to browse and discover new ones we'd also like to read. And then we just came back home to sign the books and to read some of the library books I already have, to play. Here's one book to love that I shared last Monday. Author Kyle Lukoff takes a step further in describing those collective animal names of which we are fond. I love ravens and crows, so this page is a favorite. Illustrations by Natalie Nelson are wonderful. I worked all day at the bookstore Thursday. We have a new and large donation from a young man who was told to clean out his room! 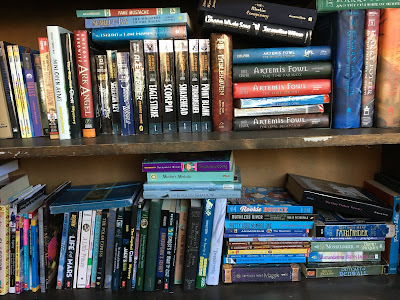 He had so many fantasy books, Harry Potter to Redwall to Riordan's books and on. We are grateful! And we're starting a June sale of half price in Children's books, ready for Summer reading! Here's a small taste! 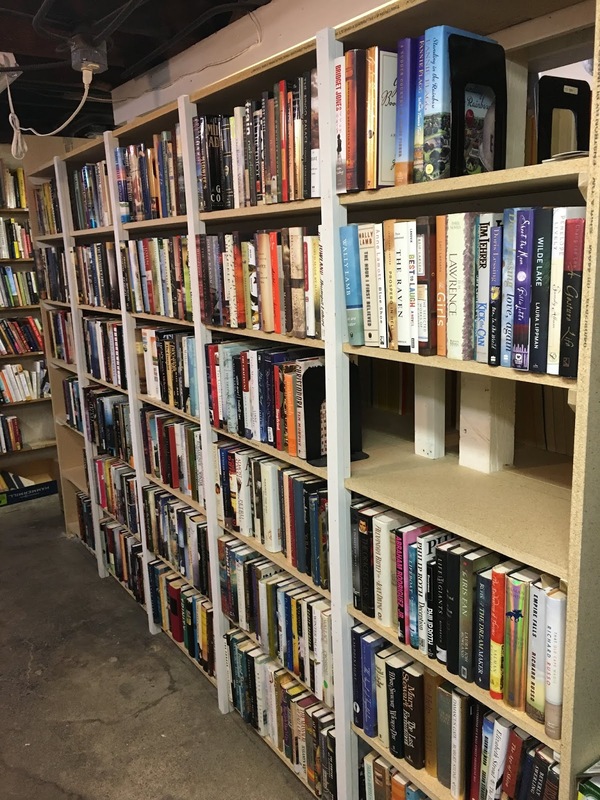 Friday, new shelves were finished in the bookstore basement, so a few of us filled these new shelves. It's a lot of work, but fun to see how wonderful the shelves are. This is one side, filled with hardback fiction! Today is Imogene's ballet recital. She is so excited, grown up enough to have three different costumes! I'll certainly share pictures when I have them. Wishing everyone a happy, happy weekend! Thanks, Robyn. The bookstore is hopping for sure! And the recitals are filled with happy parents and families, lots of smiles! I love your posts about time with your granddaughters. Such special moments you get to share. Yes, I am fortunate to have them close. Thanks, Deb! I wish I could come visit you at the bookstore. I'd be a happy patron! Ha! I imagine you would, Margaret. I struggle not to bring home books every week! Thanks! Like Margaret, I would love to pop into your bookstore and share an outing to Tattered Cover (we used to go when we went to Snow Mountain Ranch). 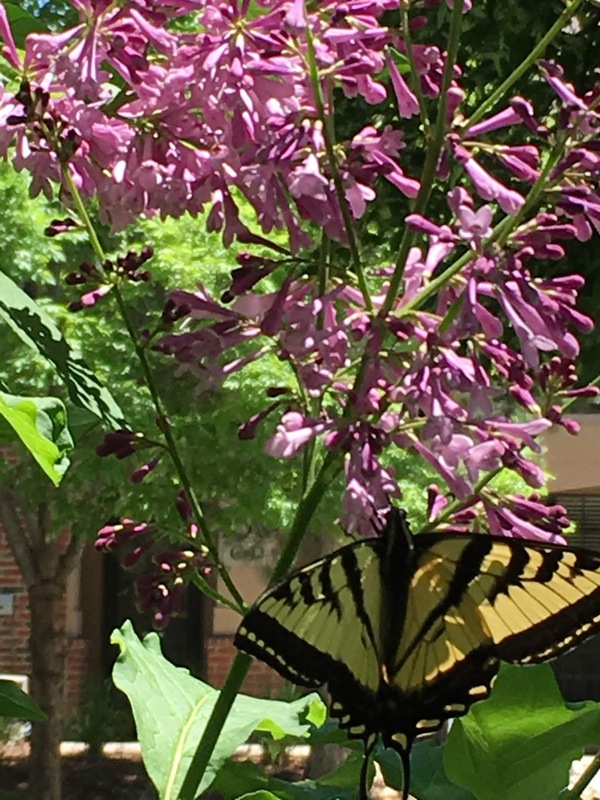 Love the pic of the swallowtail. 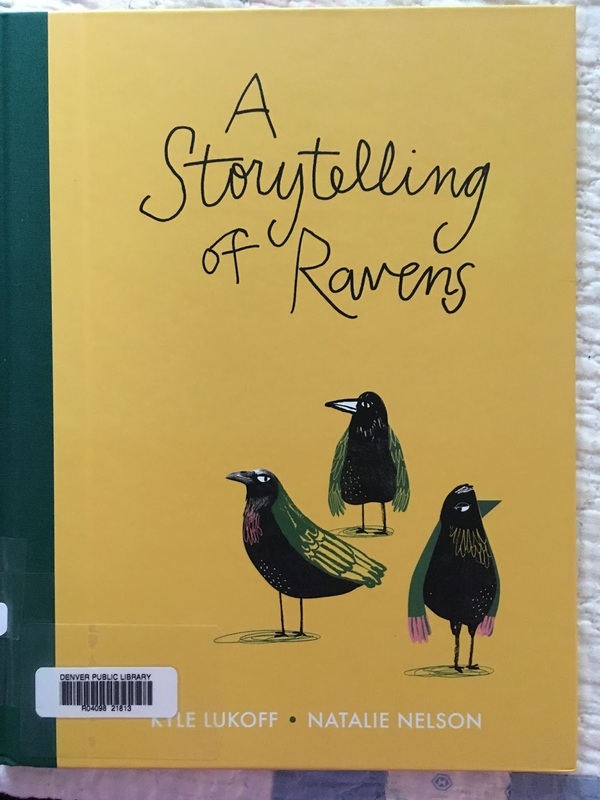 Requesting A Storytelling of Ravens now. Enjoy A Storytelling of Ravens. I may need to purchase it because I liked it so much! Yes, would love to have you at the bookstore AND visit Tattered Cover together. It would be wonderful! Thanks, Ramona! Tattered Cover sounds amazing. I really like the idea of your granddaughters picking out teacher books - so great! TC is amazing, Trina, a lovely store that one can spend hours in. We had a great time choosing books for their teachers! And then there is the used bookstore, too. Books surround me! Thank you! New shelves and new books - I know it is more work, but nevertheless, so exciting. Yes, it takes more work and time, but I'm definitely celebrating! Thanks, Terje! 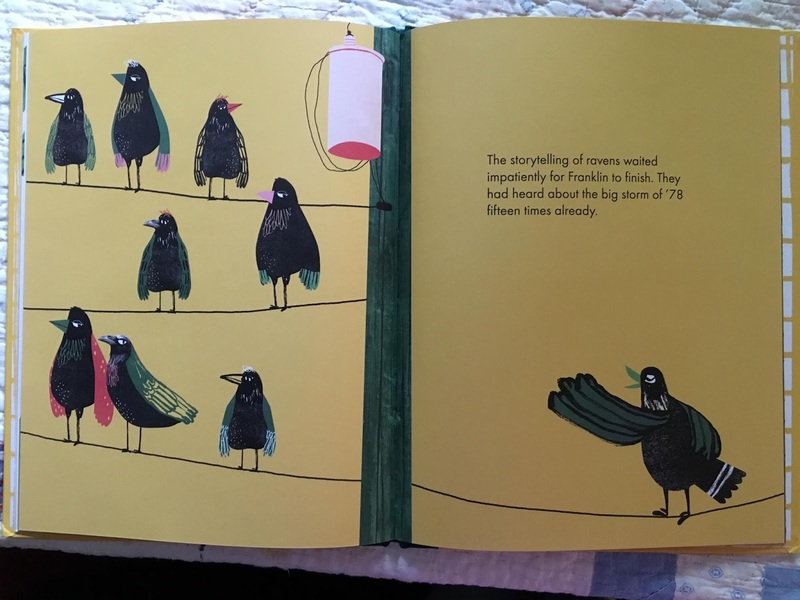 I, too, am charmed by the "Storytelling of Ravens." Thanks for sharing it! The only thing better than walking into a bookstore filled with all of those great selections would be tao walk in and find you behind the counter! Ha! Wishing! Thanks, Christy. Enjoy those 'ravens' when you can!